In a small bowl, add all the ingredients except for the salmon steaks. Mix well to combine. Heat a large skillet over medium-high heat. Add the sauce and bring to a boil. Add salmon to skillet, reduce heat to low, cover and simmer for 10-15 minutes, until salmon is cooked through. 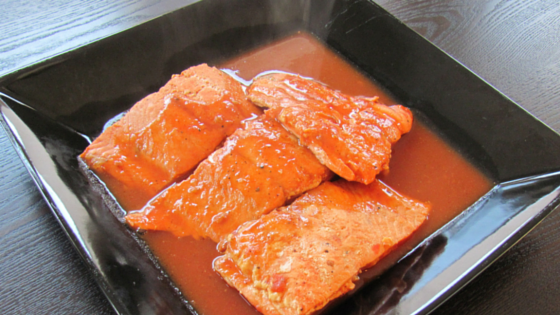 Place salmon on plates and drizzle with remaining sauce.